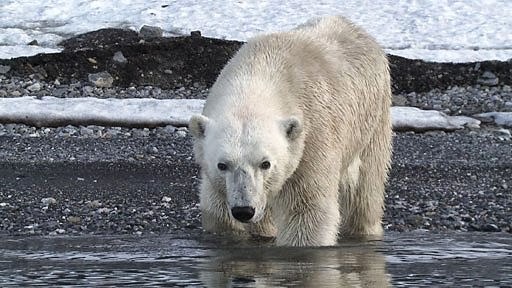 The polar bear's investigative and often destructive nature required a device that was polar bear proof. 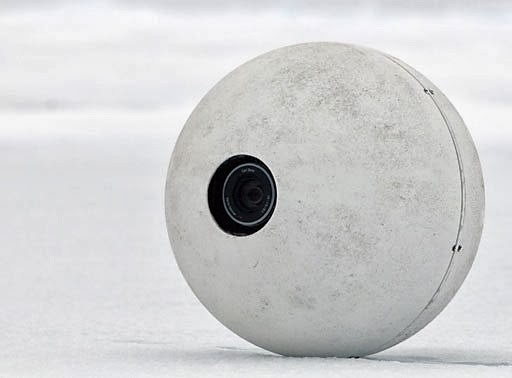 Snowball cam was the solution. Its large spherical shape prevented bears from getting a firm bite or hold. 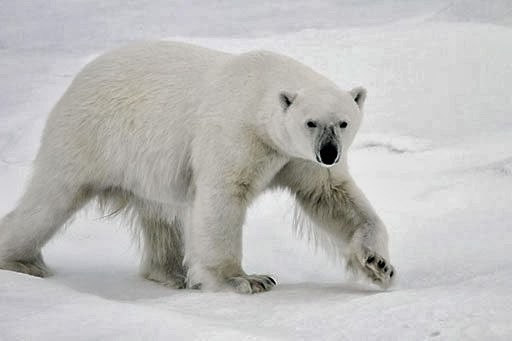 Its tough reinforced shell protected it from most polar bear encounters making it perfect for front line filming. Snowball Cam has no visible moving parts but was able to roll across most terrains, even up hill. It could also film on the roll thanks to a self-leveling high definition camera. Having the ability to dock and undock from Blizzard Cam was essential for safe and effective deployment into the thick of the action.